2. 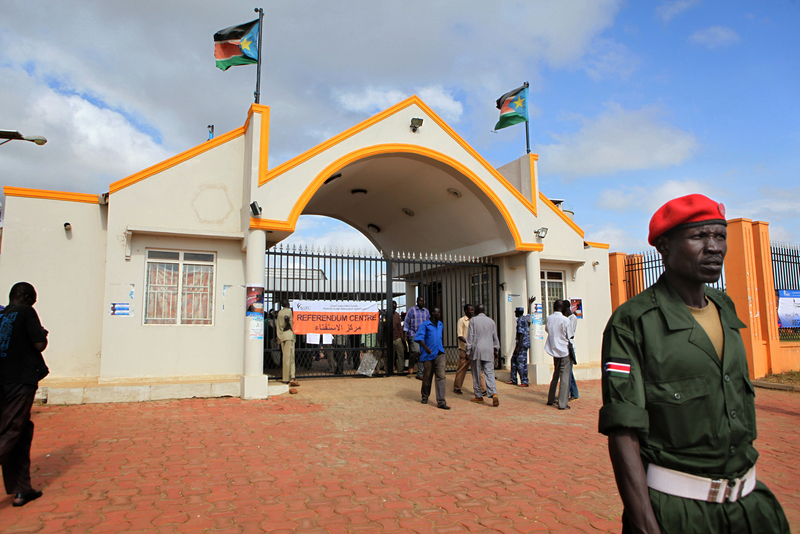 Sudan People's Liberation Army (SPLA) Military Police guard the John Garang Memorial Site after the arrival of President Salva Kiir Mayardit on the first day of voter registration, November 15, 2010, for South Sudan's historic referendum. The Referendum is an opportunity for the South Sudanese people to cast their vote for self-determination, and either stay united with the Republic of Sudan or secede and form their own state. After independence on July 9, 2011, South Sudan became the 54th African nation.